While I realize that I could have accomplished something very similar by stapling a plastic Solo party cup to a hunk of wood, I thought it would be fun to model and then bend up some sheet metal to catch the caps from our bottle opener! Here's some pictures! First, I made a SolidWorks 3D model on the computer. 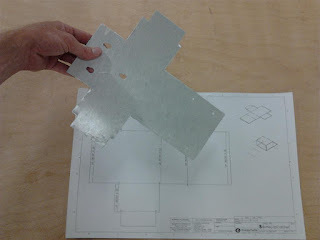 Then I printed out the un-folded shape, and cut it out of thin aluminum that was sitting around the shop. 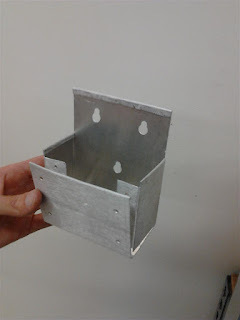 Folded up the walls, hemmed the raw edges, and added rivets. 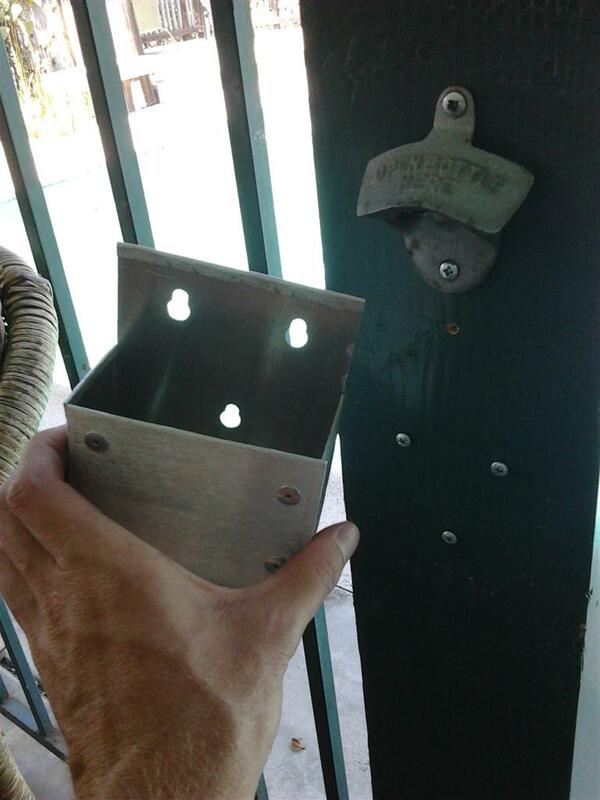 Installation, including eye-lets for easy bottle cap disposal! Testing! Works like a charm! I was curious how many bottle caps this held, so after a recent party, with the cup overflowing (I should have made it larger, who knew? ), I did a little bottle-cap-counting. @Anna, I had quite a collection, but didn't make any art out of them. Anyway, SURVEY SAYS: Approximately 65 caps! Next time, I'll make it about 3 times as large, to satisfy our summer BBQ crowds. Hrmm... I have thought about some stuff, but they seem to just disappear normally around here. 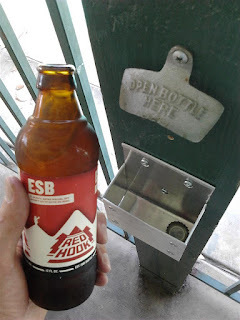 We host many social gatherings, and I haven't been able to hold on to bottle caps or wine corks, unfortunately. Could do some fun projects with each. Who woulda thunk that beer drinkers could get any lazier! I'll take two. Solar Thermal + Cheap = Inexpensive Pool Heater!